Perhaps it is not the Muslim communities of France that must change, so much as the notion of laïcité. The Grand Mosque, Paris, France. Ramadan, 2010. Tom Craig/Demotix. All rights reserved.Laïcité is a concept that enjoys acceptance by all factions of the French political sphere; it is considered a cornerstone of the Republic. Loosely interpreted, this concept concerns the secular nature of the state and the elimination of public religious expression to preserve ‘French identity’. Recent debates invoking laïcité have concentrated on integrating predominately Muslim migrants into French society. Interestingly, despite its universal support, laïcité lacks a formal definition. I will argue that the vague nature of laïcité creates confusion – a confusion exploited by the far right, which has permitted inconsistencies and double standards inhibiting Muslim populations from situating themselves within French political culture. It will call for a reevaluation of this concept for the sake of creating a society concurrent with French realities. By the end of the nineteenth century, the French Republic was the embodiment of modernity: a democratic, secular, and progressive polity. For Republicans, laïcité was a touchstone, indisputable proof of French identity, and to question the nature of laïcité, or its application in society, ran counter to Republican tradition. Laïcité carried a certain ‘French exception’ with it, attributable to the state’s ability to cultivate a common character retaining historical value and cultural heritage. The first revolutionary Republicans of 1790 were committed to ridding France of any monarchical, and especially clerical, influence, and laïcité as a concept emerged over a century ago, out of debates concerning the Catholic control of French schools. The Church argued for ‘freedom of teaching,’ whereas defenders of laïcité countered that what mattered was the ‘teaching of freedom’. The Republican state, they insisted, had to intervene through the schooling system to safeguard freedom. So, in 1905, a law separating church and state was introduced, prohibiting public funding or official recognition of religious communities. Here, laïcité worked to construct a certain type of modernity, dependent on the elimination of religious authorities from any prominence within the state while (confusingly) still guaranteeing a space for dialogue between those with and without faith. The first official citing of laïcité was in the constitutional document that crafted the Fourth Republic in 1947. It was repeated in the constitution of the Fifth Republic. A neo-republicanism began to emerge in which the principle of laïcité bound individuals together in a collective endeavor, carrying a certain social interventionism with it and equating laïcité with a proactive political action. Philosopher and politician Régis Debray spoke of laïcité as something that had to be legislated for, ‘it can never be produced spontaneously’. However, legislation gets into difficulty when laïcité lacks a clear definition, and this difficulty is illustrated in the divergence of opinions that currently surround the term. None of these statements make reference to exterior authorities, or reference to the actual practices of the French state. How can laïcité be applied and institutionalized if there is no coordinated national unity over the term? How can it serve as the touchstone of a Republic, when widely divergent impressions of laïcité dominate the legislative conversation? Curiously, while there is unity among all major French political parties in proclaiming the need to protect laïcité, there is very little consensus on what the concept even embodies. This confusing discourse has undoubtedly aided the emergence of the radical right in France’s political arena. The highest number of Muslims migrated to France during the contemporary era, in the wake of the colonial wars of independence. A good portion of this population was officially recruited for labor. The government ended large-scale labor migration from North Africa during the 1970s oil crisis and global economic downturn. From that point, the reunification of families became a continuing source of migration from the former French colonies. In accordance with laïcité, the French Republic considers ethnic and religious affiliation a private matter and therefore keeps no official statistics on citizens of immigrant origin. The absence of official figures has produced a wide range of estimates of Muslim immigrants in France. These estimates are often politically motivated, with the highest approximations being propagated by the extreme right. Today, there are roughly five million Muslims living in France. The age distribution of this group is relatively young, with half of this population under the age of 24. France’s largest Muslim populations are on the outskirts of Paris, Lyon, and Marseille in neighborhoods known as cités or banlieues. Traditionally, these areas are subject to higher rates of poverty and crime. Islam is the identifier by which North African immigrant populations are categorized. The politicization of immigration in France has been associated with the rise of the far right Front National (FN), formed in 1972. The FN has exploited confusion surrounding laïcité to acquire electoral support by painting a picture of the Republic as being outmaneuvered by an international schema of highly organized Islamist militants. This strategy has been hugely successful in bringing the issue of immigration to the forefront of public concern. In 1986 the FN broke through at the national level, gaining seats in the National Assembly after the introduction of proportional representation in parliamentary elections. This allowed the party to intensify its discriminatory rhetoric portraying non-Europeans immigrants as threats to French national identity and security. The FN’s pivotal point came in 2002, when its leader Jean-Marie Le Pen surprisingly garnered enough votes to make it through the first round of the presidential election to face popular RPR (Rally for the Republic) candidate, President Chirac. The historical relationship between France and Islam is complicated by a violent colonial past. Recalling the issues left unresolved from French colonialism, France’s growing Muslim population is framed as a revenge for empire. The history of Algerian colonialism left French people with commonly circulating images by which to understand Muslim populations; lessons drawn from colonialism taught the French to see Islam as an enemy force, backward in its values and violent in its methods. These sentiments undoubtedly shape the FN’s xenophobic discourse on immigration. In the aftermath of the 2002 election, centre right President Chirac was prepared to turn the threat posed by the FN into an opportunity by adopting a hardline position on immigration. During the election, immigration was increasingly framed as a question of law and order, issues of major importance for 58% of far right voters. The 2002 election indicated that the centre right’s immigration policy was perceived by vital sectors of the electorate as too soft. Chirac’s Minister of the Interior, Nicholas Sarkozy, introduced two key pieces of legislation dealing with nationality, immigration control, and integration. First, there was a 2003 law aimed to restrict illegal immigration, and justified on the grounds that more repressive immigration control would facilitate the integration of immigrants already in France. The criticism continued. Sarkozy’s tough stance on immigration was balanced by an integration policy considered un-republican, and thus in opposition to laïcité. It included supporting positive discrimination, foreigners’ right to vote in local elections, the financing of mosques in France and, most notably, the creation of the French Council of the Muslim Religion (CFCM). This Council gave Islam an official voice in France. These measures were ardently opposed by a majority of the UMP (Union for a Popular Movement) that put Sarkozy at odds with Chirac. While Sarkozy took pains to operate within the ‘limits’ of laïcité by delegating any organizational activity of the CFCM to an independent law association run by Muslim leaders, the visible hand of the state in Muslim affairs frustrated purist defenders of laïcité. They claimed that the CFCM violated laïcité by blurring the dividing line between church and state. The term ‘integration’ has become a mantra of politicians in the discussion over France’s immigration model. The term is problematic for several reasons. First, similar to laïcité, it lacks a widely accepted definition, making it a useless metric for evaluating communities. There is no true standard by which politicians can rate the success of their ‘integration’ policies. Further, some beurs, second-generation Arab immigrants, reject ‘integration’ as a matter of principle. They do not see why they should transform themselves or reach out to a society that already ought to consider them full members. The desire to integrate becomes a double paradox: most beurs have resided in France their entire lives, but because of discrimination, many have been denied the opportunities—jobs and social services—that would help them to ‘integrate’. A study conducted by SOS Racisme, a French antiracism organization, found that those with ‘non-European’ first names were one and a half times less likely to be employed than the general population. This situation reinforces a vicious cycle of failure and exclusion, which culminated in the 2005 cité riots. So, while immigration policies deal with the admission of migrants into France, integration policies focus on altering the appearances and values of those admitted into France, to conform to a singular French historical narrative. In response to criticisms coming from the centre and far right, Sarkozy’s second bill was a 2006 law that dealt with integration in stricter terms. The primary emphasis of this legislation shifted it from dealing with ‘imposed’ immigration to ‘selective’ immigration. By stressing ‘selective immigration’ which is tailored to France’s economic needs, at the expense of ‘imposed migration’, Sarkozy went to the heart of France’s prevailing pattern of immigration. As previously noted, family reunification had continued to drive North African migrants to France. ‘Imposed immigration’ necessarily carried more cultural weight than selective immigration. Families are the social units through which cultural traditions get passed down from generation to generation. The donning of religious veils was rapidly becoming deemed a threat to laïcité and impediments to French integration, with this 2006 law regarded as the government’s response to the breakdown of ‘integration’, which had produced the paradoxical situation where ‘the children and grandchildren of the first generation of immigrants feel less French than their parents and grandparents’. ‘Selective immigration’, it was argued, avoids this situation. It involves the positive selection of predominately young, single, skilled workers who have come to France to fill a particular employment niche. These immigrants are effectively removed from their cultural hubs, and more easily adapt to the environments in which they work. They are the ones that become integrated as ‘ideal’ French citizens. Ironically, Sarkozy went so far as to insist that in countries where selective immigration is practiced, xenophobia and the far right were weaker than in France. His assertion was that ‘selective immigration’ would defend France against racism and reduce the incidences of ‘squats, ghettos, and rioting’. The 2007 presidential election results validated Sarkozy’s decision to target the far right electorate. Leading up to the election, his discourse hardened. Speaking to the UMP in 2006, Sarkozy echoed Le Pen’s old slogan ‘Love France or leave it’ by avowing that, ‘If there are people who are not comfortable in France, they should feel free to leave a country which they do not love’. He captured a portion of FN first-round voters with his rhetoric, leading some to conclude that party political considerations had been a major factor in Sarkozy’s immigration strategy. The growth of France’s Muslim population confronts laïcité with new challenges. To understand the current frustration with this visibly growing presence, the Jewish assimilationist model can be compared. Historically, the political-culture of French Jews adhered to an assimilationist creed. A unique approach to religious identity in the Republic evolved among French Jews by the end of the nineteenth century; they were ‘Jews indoor, French citizens outside,’ a view entirely in line with laïcité. The increasingly public presence of Islam within France is seen by many to pose a direct threat to French republicanism, presenting policymakers with a dilemma. They are hesitant to adopt policies explicitly designed to ‘level the playing field’, because granting legal status based on group identity perpetuates the very multiculturalism laïcité protects against. Nonetheless, French citizenship has not brought about the kind of social advancement and political integration of Muslim immigrants that had been accomplished by French Jews in the previous century. Compounded by the growing discontent among the Muslim population within the banlieues, one would be hard-pressed to contend that Sarkozy’s integration strategy has been effective. There is a larger issue at hand. Each generation of immigrants, notably those from southern European, was at one point deemed ‘unable to integrate’. This claim, as applied to Muslims however, has been accompanied by a new set of arguments that emphasize the non-European and non-Christian heritage of recent migrants). While proponents of laïcité call for the elimination of all religious influence on the state, Muslim culture and heritage is seen as qualitatively different from those of previous migrants. And this response relies on the vagueness of laïcité itself. The very invocation of the term suggests a cultural contrast with other identities, as it speaks to an indefinable and intangible sense of ‘French-ness’ in a way that makes the accommodation of Muslims singularly difficult. That ‘French-ness’ requires the continuation of a particular background, one that is European and Christian. In persisting to identify a group as ‘Muslim’ and therefore ‘Other,’ France has become a nation that is willing to integrate immigrants yet unwilling to acknowledge their respective historical narratives. In order to integrate, immigrants must internalize the values of the French Republic, including the concept of laïcité. However, laïcité has been employed in contradictory ways to defend an inexplicable ideal of what it means to be French. Politicians have reacted to this impasse by tightening immigration policy. The radical right has benefited off the ambiguity surrounding laïcité by blaming the peril of failed integration on Islam. The Front National’s vehement opposition to multiculturalism and its policy of ‘national preference,’ giving priority to French nationals in the areas of housing and employment, has succeeded in catering to a growing xenophobic electorate. Centre right politicians, Chirac and Sarkozy, have tapped into this electorate by hardening their stances on immigration and adopting some of the extremist rhetoric of the FN. It is a vicious downward spiral. Some point to the way France’s integration policies have ‘become an adjunct to anti-terrorist law’. Others argue that the perpetuation of a strict immigration strategy has only served to isolate France’s Muslims even further in the realm of political representation and in the forgotten outskirts of France’s major cities. A formal definition of laïcité must be made if France is to ever tackle current socio-economic, political, and religio-cultural tensions occurring within her borders. Currently, as Sharif Gemie put it in his book, French Muslims (2010) - laïcité is a cultural ideal that is ‘unsuitable for a world that is increasingly marked by the rapid international transfer of goods, services, ideas, and people’. This reevaluation must take these realities into consideration, not just to construct a more attainable ‘ideal citizen,’ but to preserve the very nature of the French Republic. Gemie, Sharif. French Muslims: New Voices in Contemporary France. Cardiff: University of Wales Press, 2010. Internet resource. Gordner, Matthew. "Challenging The French Exception: ‘Islam’ and Laïcité." In-Spire Journal of Law, Politics and Societies 3.2 (2008): 72-87. In-Spire.org. In-Spire, 2008. Web. Laurence, Jonathan, and Justin Vaïsse. 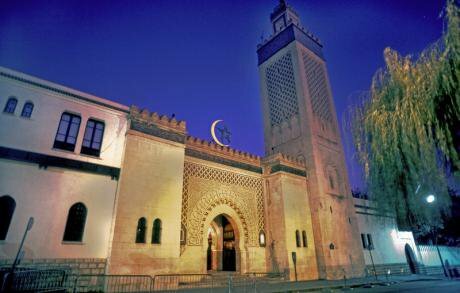 Integrating Islam: Political and Religious Challenges in Contemporary France. Washington, D.C: Brookings Institution Press, 2006. Internet resource. Marthaler, S. "Nicolas Sarkozy and the Politics of French Immigration Policy." Journal of European Public Policy. 15.3 (2008): 382-397. Print.